If you are having problems with your skin—like itchiness, bumps, swollen areas or rashes—then you might be suffering from allergies and not even realize it. The following are some of the most common skin allergy symptoms, diagnoses, and testing methods. Should you be experiencing any of these chronic skin problems, contact us, we’re your local allergy experts and we can help relieve your annoying symptoms. Itchy skin happens to all of us from time to time. Skin dries out sometimes and causes itching. For many of us, using a moisturizing soap or applying a little lotion can solve the problem. If your itchy skin isn’t going away with normal treatment methods and has lasted for a long time, you may need further evaluation. 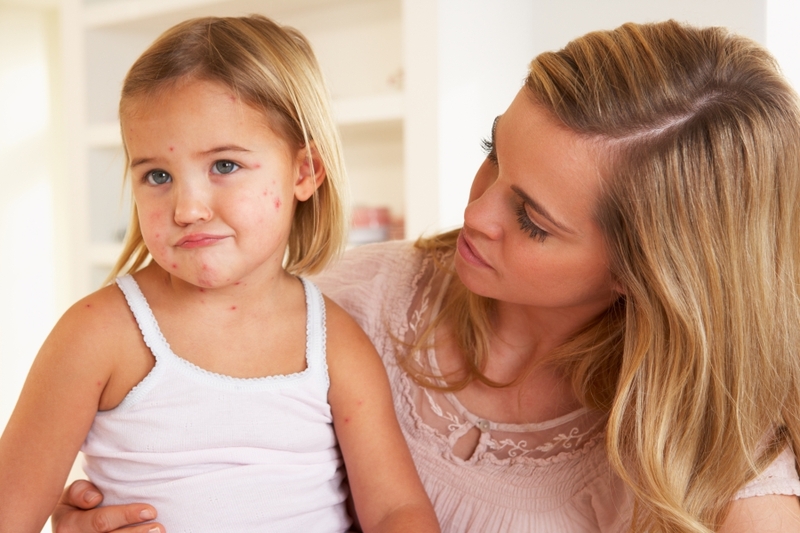 Often, chronically itchy skin can be the result of an allergic reaction. Visit us for a comprehensive evaluation to identify what is going on with your skin and develop a plan to help you get rid of the annoying itch. Angioedema is the swelling of a part of the body due to fluid leaking under the skin. This swelling can be caused by an allergic reaction, but it can be caused by other things as well. Allergic angioedema usually occurs after bug stings or bites, as part of reactions to food or medications, after direct skin interaction with a chemical or irritant, and from animal scratches. The swelling can last anywhere from a matter of hours to a matter of days. Angioedema can also be the result of both inherited and acquired chronic diseases. Patients with a history of swelling should undergo a comprehensive evaluation by a knowledgeable physician. Our doctors have years of experience evaluating patients with hives and angioedema. Urticaria is commonly referred to as “hives” and presents on your skin as swollen, red bumps or welts. Hives are usually quite itchy and can pop up anywhere on the body—including the facial area. Like angioedema, hives can last for a few hours or they can recur over months or even years. Acute hives can be the result of an allergic reaction to an internal or external allergen, chronic hives are usually not. In any case it is important to determine the cause of the hives if possible and that a treatment plan be designed to keep hives at bay. If you have a problem with hives, come in for an evaluation so we can help relieve your symptoms. Eczema can refer to several different medical conditions which cause severe itching and inflammation of the skin over a long period of time. Eczema presents with itchy skin that’s prone to flaking off. The irritation often doesn’t get better with the use of common skin medications. Unlike many other conditions, though, the itching associated with eczema can make your life miserable and the rash can be unsightly as well as uncomfortable, which can lead to teasing in school and uncomfortable social situations. Because eczema can be brought on by allergies to certain foods and can be treated through skin care and some medications, if you have persistent or severe eczema it is important that you contact The Allergy and Asthma Center of Corpus Christi for a comprehensive evaluation. Once we determine the nature of your eczema, we can design a treatment plan just for you which will relieve your eczema symptoms. Contact dermatitis is simply an allergic reaction which occurs on your skin as a result of touching an allergen directly. Dermatitis can be caused by a wide variety of objects or substances which are commonly found in people’s everyday lives. Contact dermatitis can be caused by detergents, soaps, shampoos, perfume, cosmetics, jewelry and other metals, fabrics, preservatives found in all kinds of skin products, and even latex gloves. By determining which allergen is causing your reaction, we can help you treat the allergy and avoid the substance and therefore treat the problem. Some recurring or chronic rashes are the result of sensitivities to any of thousands of things that come in contact with your skin. If the physician suspects your problem might be due to a contact allergy, we can perform patch testing to identify the specific trigger. During the patch test, allergen solution is applied to a small fabric pad which is taped to your skin. If you have a contact allergy to the substance being tested, over the next 2-7 days a small area of rash occurs at the site of contact. Once the offending contact is identified, we can teach you how to avoid it in the future.